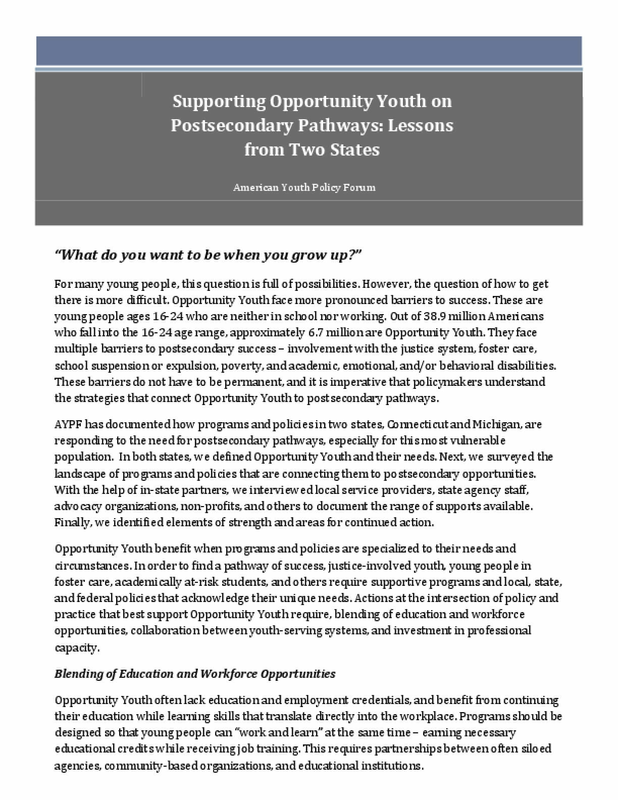 The short- and long-term consequences of employment disparities among young people of color have generated an urgent national conversation among young people, business leaders, the philanthropic sector, and government leaders. 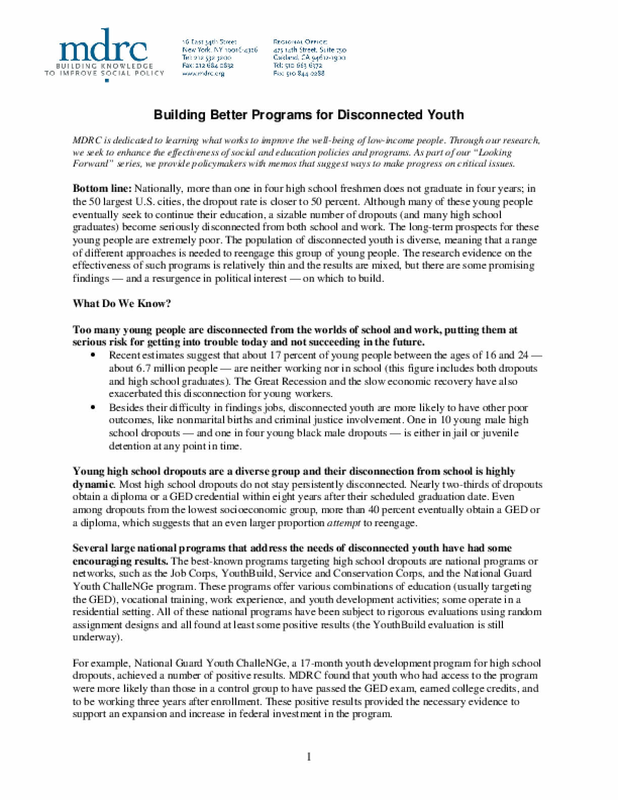 In recent years, advocates for young people have brought to light the barriers to success faced by "disconnected youth," who are neither working nor enrolled in secondary or postsecondary education. 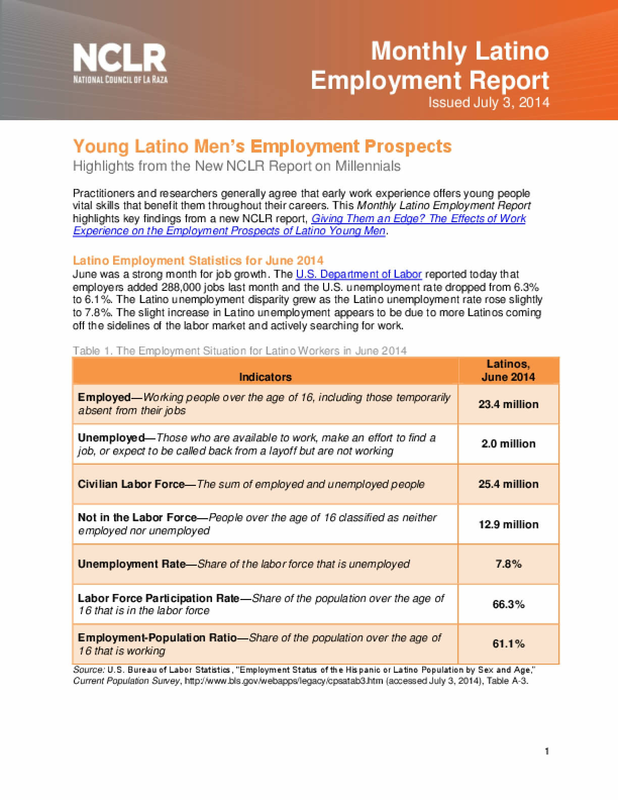 Latinos are overrepresented among the disconnected youth population. 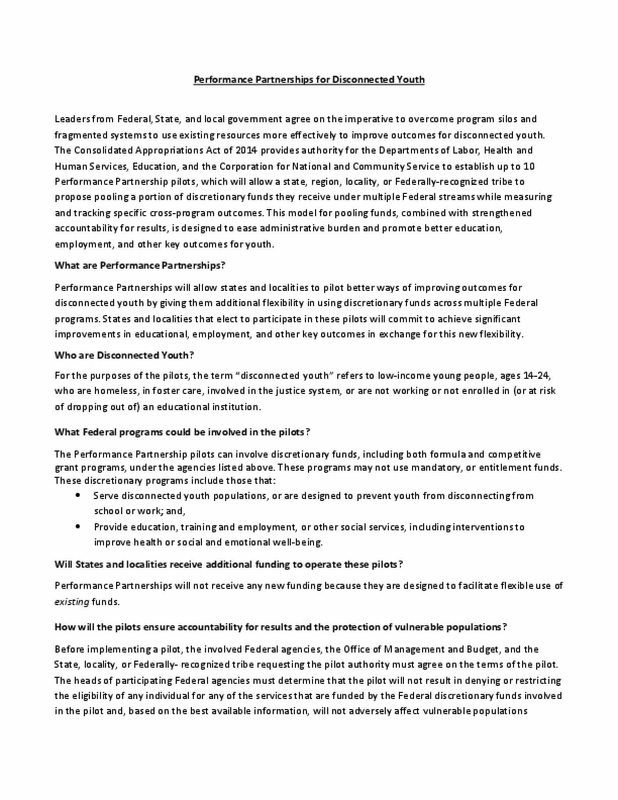 In an effort to strengthen philanthropic investments among its membership, the Youth Transition Funders Group (YTFG) asked a group of policy experts to provide recommendations on how foundations can work to encourage effective policy solutions on issues affecting youth in transition to adulthood. 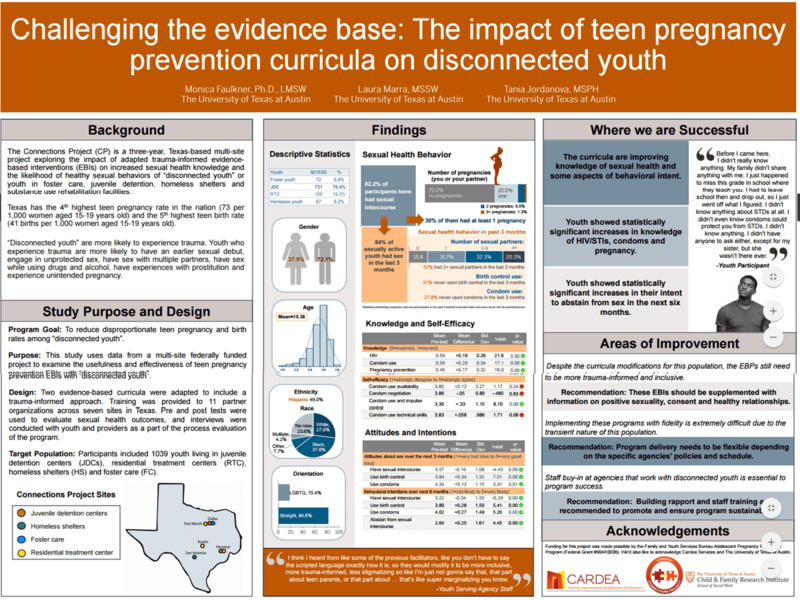 The primary challenge was to think beyond the systemic silos that so deeply shape the services and expectations of youth and move towards an overall framework that could produce improved outcomes. 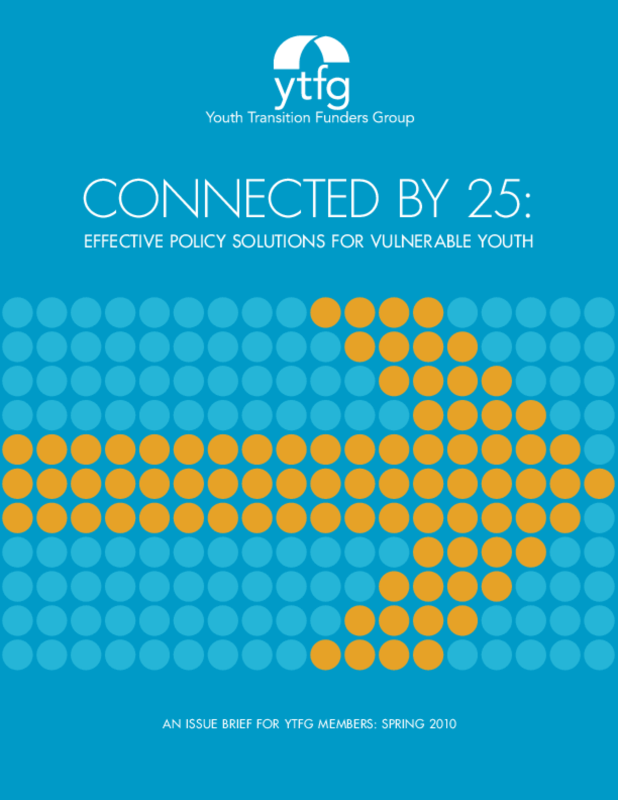 YTFG's work is based on the Connected by 25 framework, in which all youth reach the following outcomes by age 25: Educational achievement in preparation for career and community participation, including a high school diploma, post-secondary degree, and/or vocational certificate trainingGainful employment and/or access to career training to achieve life-long economic successConnections to a positive support system -- namely, guidance from family members and caring adults, as well as access to health, counseling, and mental health servicesThe ability to be a responsible and nurturing parentThe capacity to be actively engaged in the civic life of one's community This issue brief offers a summary of those recommendations, focusing on four primary transition points that often threaten the ability for youth to be connected by age 25 to the institutions and support systems that help them succeed throughout life. Illinois Youth -- Ready for Life? Heartland Alliance conducted a survey of 162 youth ages 12 to 24 in communities across Illinois to understand their challenges and possible solutions to help them and their peers succeed in five areas: personal relationships, school, work, health, and future planning.